In Ohio, taxpayers no longer have to wonder what their hard-earned money is being spent on; they can now go to Ohio’s Online Checkbook and see for themselves. 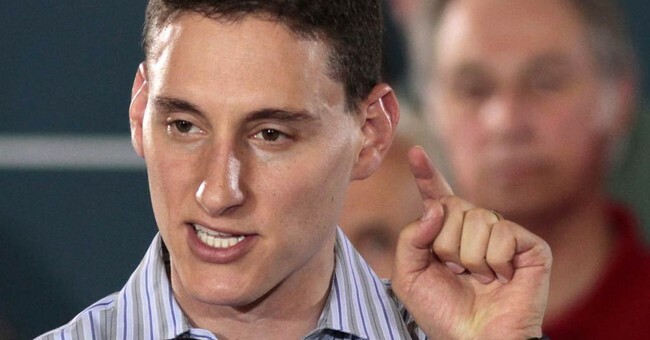 “My vision is to create an army of citizen watchdogs who have the power to hold politicians accountable,” state Treasurer Josh Mandel tells Townhall. Citizens, journalists, and lawmakers alike can browse through more than $408 billion in state spending over seven fiscal years using ‘Google-style’ contextual searches. Construction for the site cost roughly $814,000 from the treasurer’s existing office operating budget, but Mandel believes Ohioans will benefit from it in the long run. “There’s a lot of waste in our state government and government entities throughout the country and what we’re trying to do with this online checkbook is expose that waste and put an end to it, by virtue of having all this information online,” he added. So far, it seems to be working just as Mandel envisioned. In the two and a half months since its launch, more than 100,000 searches have taken place, a good sign that taxpayers are interested in holding their elected officials accountable. Moreover, if anecdotal stories are any indication, Mandel says he’s heard many accounts throughout the state about government workers who are now thinking twice before they make certain expenditures given that they will eventually be posted online. “It’ll make politicians and bureaucrats think twice before they go to a conference in Hawaii when they could’ve gone to a conference in Cincinnati or before they stay at the Ritz, when they could’ve stayed at the Holiday Inn,” he says. So, how much have state employees spent at the Ritz Carlton? By simply typing the hotel into the search bar, the user is presented with two graphs, one that shows the total transactions by fiscal year, and another that displays total spending by fiscal year. One can further click on the bars that show up and see more detailed information. In May 2013, for instance, $1,851.36 was spent at the Ritz Carlton and each transaction is listed. If users want to know more, contact information is provided for an agency and a specific employee within that agency. Just last year, The Buckeye State ranked among the worst states in terms of online access to government spending data, according to a U.S. Public Interest Research Group report. But Mandel believes Ohio’s new Online Checkbook “easily sets a new national standard,” not only because of the amount of information it provides, but also because of the context given. But he's not content with just including state-level spending. The next phase of the transparency initiative is to get the 3,900 local governments involved. And after that, he's eager to shine light on the spending of state pension funds and universities. On a national level, Mandel hopes that what has now been done in Ohio will set off a race for transparency around the country.